Christmas is full of joy and laughter, so we thought we’d add some sparkle to the mix in the form of our fizzy Christmas Sparkle Hamper. If you’re not so partial to a glass or two of bubbly don’t panic, as we are also giving away The Noel – a delicious hamper packed with tasty treats! This competition is running for two weeks only, so don’t miss your chance to win one of our indulgent festive hampers. A beautiful fresh and fruity prosecco is the centrepiece of this delectable hamper. Served alongside luxury mince pies and honey baked flapjacks, it’s easy to see why this is a popular choice for the festive season. You’ll also find Baronie Beligian Chocolate and Hazelnut Pieces, Yoghurt Coated Brazils and Cranberries and melt-in-the-mouth Chocolaterie Diane Belgian White Chocolate Pralines. Click here to check out the full contents of the Christmas Sparkle Hamper. This hamper is non-alcoholic, yet still packs a good punch. Perfect for friends or work colleagues, it’s packed with delicious sweet and savoury delights. From a family-size fruit cake to Buchanan’s famous Chocolate Russian Caramels, you won’t know what to dig into first. If you favour the savoury, you’ll love the Olives Et Al Chilli & Garlic Olives and the divine Tomato and Sesame Savoury Bites. Click here to check out the full contents of The Noel hamper. Complete your entry by leaving a blog post comment explaining why you deserve either the Christmas Sparkle or The Noel. The competition will close at 12 noon on Monday 7th December 2015. One winner will be selected for each hamper. Click here to see our full range of Christmas hampers. Next Article Looking for yuletide delight? Win a wine hamper! The Noel would be perfect. Iv extra guests this year as my parents are coming to stay with us for a few months. They have just found out their house has subsidence and they have to move out the week before Christmas. My mum is devastated so this would be a lovely gift to cheer her up. I’d love the Christmas Sparkle hamper as a little treat for all of us on Boxing Day to relax after the festivities. I’d love the Christmas Sparkle hamper, I’m pregnant and 4 days overdue so need some cheering up. And everyone knows that chocolate is the ultimate pick me up for a pregnant woman. The sparkle hamper! I work for royal mail and after I sort all your parcels for delivery at Christmas I’m going to need a little pick me up!!! This would do it! Merry Christmas!! The Noel cos most of my family don’t drink & I’ll be sharing it with them. I’d love the sparkle hamper as we are moving house just before Christmas and the prosecco would make a fabulous first night in the new home drink!! I would love to win the Sparkle Hamper which would be great for sharing with my family over Christmas. A little glass of Prosecco is guaranteed to add that extra sparkle. I’d love to win the Christmas sparkle hamper for my parents, it would make a great gift as it will be the first year they will be on their own over Christmas after we’ve all left home so they could enjoy this in peace!! I think I deserve a hamper because I’ll be alone this Christmas and won’t have any gifts from anyone, a hamper would be a great present. I’d choose the Noel hamper because I don’t drink alcohol and all the food in there looks yummy! Love the Christmas sparkle as seems to have been a difficult year but sure this would put the sparkle back in it! I would love to win the Christmas cheer hamper. I think I deserve this as I spend a lot of my spare time at my sisters helping her out with housework as she has suffered from ill health for the last ten years. We definitely need the Christmas Sparkle hamper – my son broke his arm 3 days before his wedding and my mum is in hospital with a broken leg. I’m being very careful! Noel hamper as I love savoury nibbles. I deserve to win as I’ve never had a hamper! I would like to win the Noel for my wife who works so hard at homeschooling our daughter and providing a happy healthy home. She truly deserves this and thanks for the opportunity! I’d love to win the Christmas Sparkle hamper for my wonderful mum who deserves a special treat for being amazing and always puts her family first. It’s her birthday soon and this beautiful hamper would make her smile! Thanks for the chance! Christmas sparkle. to give to my girlfriend sarah as a thank you for looking after me whilst ill last week and without complaining. I would love to win the Christmas Sparkle Hamper. My mum is cooking Christmas dinner for us for the second year running this year. There will be myself, my fiancé, our two children, my parents, sister, mother & father-in-law, brother & sister-in-law & our niece too! My mum is a star and I would like to bring something along to thank her for her much appreciated hard work. She would 100% love this hamper! Rich Plum Oval Bowl – so that I can rest in luxury and help me heal after my operations. My next one is in January! Christmas Feast – so that I could treat my partner to some luxury food that we wouldn’t normally be able to afford! I would love to win a hamper! I have never had one before and being in and out of hospital with appointments and operations, I think I deserve a treat! Also I would love to share it with my man for looking after me, especially after operations etc. He deserves a treat! i would love the Noel to share with my family! I would like the Christmas sparkle hamper please because I have never had a hamper before and would love to share it with mum and family over Christmas! The Christmas sparkle hamper for me please because I love making prosecco cocktails, they make me so excited! I would share the hamper with all my family we could do with a good treat after a tough year. Christmas Sparkle Hamper and I think I deserve to win because I would share if I won! I deserve the Christmas Sparkle Hamper because I need a nice treat after a very stressful year. I’d love the sparkle hamper, do I deserve it? Probably not so i’d have to give it to my husband for putting up with me! I’d love the Noel hamper, as I prefer sweet drinks to dry ones, and most wines and champagnes are too dry for my taste. I would love the sparkle hamper because it looks a right treat! Would love the Christmas Sparkle Hamper because I have been very good this year! and i promise to share it! The Christmas Sparkle, so it could make my family’s Christmas sparkle! Christmas Sparkle !! Beacuse myself and daddy get nothing for xmas so this would be a fab treat ! I would choose the Christmas Sparkle to give to my friend who has just moved house after a difficult split from her partner. Money is tight for her now so this hamper would be a real treat. I’d love the Noel…I’m not drinking this Christmas and if I won this I wouldn’t feel like I was missing out on any festive treats at all! I would love to win the Sparkle hamper as a treat for my mum. She always does Christmas for us grown-up children and she deserves a special treat. I would love the Christmas Sparkle as I’ve been a good girl this year. I’ve taken to the gym, lost 3 dress sizes and quit smoking! I would like the Noel hamper because I don’t drink alcohol and I deserve it because I’ve worked very hard this year. I would choose the none alcoholic one. Why do I deserve it? Who knows? probably no more so than anybody else on here. Don’t do sob stories, hate to see them to win a prize. But would be nice to share with family when we get together on 28th Dec because as an nhs worker I am working over Christmas. I would love this hamper to share with my Gran. She has always been there for me and deserves to be spoiled. Id like to win the xmas sparkle hamper for myself as im turning 40 on the 16th of this month and would love a lovely treat! I don’t deserve the hamper but I would love to surprise my mum with it. I think she’d like the Christmas Sparkle one. Fingers crossed. The Noel Hamper would be great as by the time I get a chance to relax fully after running around in buying & wrapping presents, writing & posting cards, putting up the decs, cooking Christmas dinner for 12 I think I will deserve a treat myself! I would like the Noel, I am 8 months pregnant so I can’t have the Prosecco, although I’m sure it wouldn’t go to waste! I would share the hamper with work friends on my last few days at work in January. Oh this would be great as a treat, something I would never be able to afford for myself. I would love the Noel hamper please because it’s full of so many lovely things that I know my family will enjoy. I deserve a hamper for simply just being me and if I won I’d tell people what lovely hampers you sell. The Noel would be perfect…more of a nibbler than a tippler! Christmas Sparkle! Love a bit of prosecco and would be great to share with the family! I would love the Noel. because it is so hard to get a decent hamper that doesn’t include a bottle of fizz. I deserve it, because I’m deliberately not asking for the fizz because I will have to get up with 2 highly strung little boys on Christmas Day!!! I’d have to go for the sparkle hamper as the Prosecco would help me get through the christmas period when im being terrorised by my 3 nieces !! I’d like the sparkle hamper becuse I just can’t stop thinking about the exotic pineapple & papaya in vanilla syrup. I have just got to try it!!!! Christmas Sparkle Hamper would suit my sweet tooth looks delicious! I’ve been really really good this year honest! Christmas Sparkle Hamper please, it sounds a wonderful treat. Would love to share this with my sister and mum over christmas, they love prosecco. had rough week so would love to keep it to treat myself. I would love to win the Christmas Sparkle Hamper so that I could give it to my mam as a surprise. She always does so much for other people that she really deserves a nice treat like this. I would love the Christmas Sparkle Hamper because it looks divine and I have been good all year, honestly. I’d like the Christmas sparkle hamper for my beautiful wife because she has been feeling a bit under the weather lately. The Christmas Sparkle hamper as it has something for everyone. I’d love the Noel hamper for myself to share with my family (it’s a bigg’un). I think I deserve a treat because I’ve worked so hard to lose over 7 and a half stone, so I think I can have Christmas off to celebrate! I’d love the Christmas Sparkle Hamper because Belgian chocolate is my favourite! I would love the Christmas Sparkle hamper. I would like the Noel hamper, it has everything in to make my christmas day. I would say I deserve a Hamper no more and no less than the next person. I’m just a food lover and given the choice I would choose The Christmas Sparkle Hamper. Loving all the sweet stuff in it. 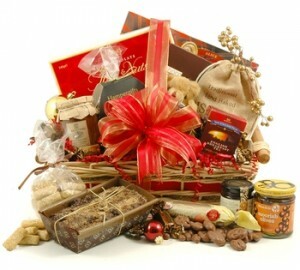 It is a beautiful hamper, would love to win to share some lovely food with family this christmas. I’d love to gift the hamper to my aunty as she’s just got engaged and I’m so excited for her!! Noel looks wonderful, lots of chocolate! I would love the Sparkle hamper because my husband would love the Prosecco and that would make the family feel less guilty since some of the other items contain milk to which he is allergic. Why do I deserve it – well because of family allergies I bake Liebkuchen, Stollen, etc. and it would be great to have lots of treats visitors could eat without me having to either bake or shop for them. Well I don’t know if I deserve it or not…I think i do but I am a bit biased. I love both of the Hampers and would be ecstatic to win either of them, but if I am pushed I would like the Sparkle. I would love the Christmas sparkle hamper is been a tough year which could get tougher before it ends and I think by Christmas Day this hamper will just be perfect under my Christmas tree andnwill hopefully be the start of upward trend again…. I deserve a hamper because I’m a bit of a Grinch & need cheering up. The Christmas Sparkle hamper is great. I would enjoy and deserve the Christmas Sparkle Hamper because as I keep telling my fiance I am lovely ;-), it will be a lovely treat for us and my daughters. I don’t know as I deserve a hamper more than anyone else entering this giveaway but it would make a special treat and I love the Christmas Sparkle Hamper because it has Belgian chocolates and pralines. I would love to win either hamper! I deserve to win as it has been quite a difficult year this year and we need something to cheer us all up. I would love to win the Christmas Sparkle Hamper as what better way is there to celebrate Christmas than with family and friends and a bottle of lovely bubbly. Either hamper would be a lovely surprise to take round to my daughter on Christmas day. She has just moved house after a very long drawn out and complicated sale process with many problems and had her first week in the new house with no hot water or heating! Fortunately, this is sorted but now she says the oven does not work properly!!! So the turkey may be problematical but at least we could enjoy the contents of the lovely hamper while we wait! I’m working Christmas Day and would love the sparkle hamper to tuck into when I get home after a long day. I don’t think that I deserve it more than anyone else, but I would love to win the Christmas Sparkle Hamper to share with my friends and family over the Christmas Festivities. I would love to win the sparkle hamper to share with my family and friends over the Christmas period. The Christmas Sparkle Hamper and I deserve it because I work hard. The Noel – Just the thing for the wife to take to work on christmas day for tall he A&E staff. I would love to win the sparkle one, I’m repaying a loan on my car as I had to buy a new one in an emergency so we aren’t doing Christmas presents this year for each other so we can afford the childrens ones and I’d love it as a treat for me and my partner instead. I would love the chance to win a Christmas Sparkle Hamper. It would be perfect for my stepdaughter who has recently had her first baby and set up home with her partner. This would be a lovely gift for the new family! Would love to bring this lovely looking hamper when I visit my mum and brothers this Christmas – it would make everyone’s weekend to be able to tuck in to the delicious chocolates, nuts, mince pies, flapjacks and prosecco while we watch Doctor Who and some old films! I would love to win the Christmas Sparkle – it would be fab to round a very tough year with a pile of delicious goodies and a bit of spoiling my hubby! I would love to win the Noel hamper to share with my family and especially with my grandmother who is travelling to me in Scotland for Christmas. She has just become a great grandmother and I want to spoil her as it’s been years since we’ve managed to be together at Christmas. I would love a hamper – this year has been a haze of sleepless nights & manic days with a baby born in Feb & a very active 2 year old. I think my husband & I deserve to indulge a little!! I’d love the Noel hamper so that I can share all the lovely goodies with my family. I’ve been very good this year! I’d love the Noel hamper, as I don’t drink alcohol and I’d love something special for me while everyone else pours alcohol into them I’d be sitting there all chuffed with my hamper. I would love to win the Sparkle hamper as we have had a busy few months and it would be great to relax with a glass of Prosecco and a mince pie I haven’t had to make myself. I’d love the Noel Hamper. I don’t think I deserve it per say but I would love to share this with my family over Christmas. I would LOVE the Christmas sparkle hamper so I can give it to my boss for being such an amazing and supportive person to me over these past 6 months. I would love to win Christmas sparkle hamper as that would make a great gift for my mother in law visiting us from Australia. 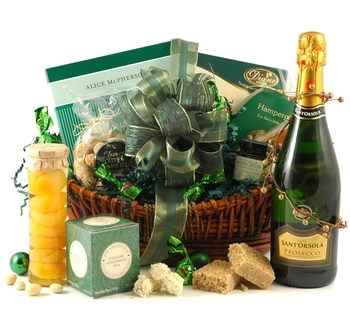 I would like the green hamper, My birthday is over Christmas, and it always get overlooked, with this it would help me celebrate it properly , in fact I would share the hamper with my family and neighbours. I’d like to win the Noel hamper as its contents sound gorgeous. I deserve it as I’ve had a heavy year with my mother being in hospital and now in respite care, yet still working full time and caring for my son. I would deserve the savoury hamper because it would partner the flatbreads I will be getting! sparkle hamper to share with my family .thank you. I like to believe that I deserve this wonderful prize because Charity, is my middle name. I don’t have a lot but, having a tenner in my pocket means, it just get so itchy that I have to give it to those who needs it more than I do. And it’s true! It would be lovely if there was someone who thought that, perhaps, I deserve the same though. If I ever end up deserving a treat, could I please choose a Christmas Sparkle Hamper so that, while my hubby and I are sipping on the Prosseco, our little ones can enjoy luxury mince pies and honey baked flapjacks 🙂 ? The Christmas Sparkle Hamper What a treat ! Good Luck to all.Hear me shout ! For sharing is what Christmas is all about ! The Noel hamper looks lovely. I think it would be a lovely treat for organising Christmas for so many people this year! Although I have a feeling that some teenagers might be poaching some of the caramels…. I’d love the Christmas sparkle hamper, because bubbles never go amiss at Christmas time! I would love to win the Christmas sparkle hamper. It is the first year that my brother has cooked at Christmas and I think that the prosecco would deffo help everything go well! i would love to share the noel christmas hamper with my family this christmas. I’d pick the Noel hamper. I don’t have a sob story. I just would like to share it with my family when I go up to my parents’ house for Christmas. We are all foodies and would appreciate it greatly. I’d love the sweet, savory combination in the Noel hamper. Its been a long year work wise. 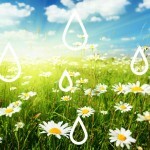 Working for a charity job security isn’t great and it can be emotionally draining helping people as well as rewarding. Would really appreciate a treat like this. I would love to win the sparkle hamper as the prosecco would go down well after all the stresses of Christmas preparation! Christmas Sparkle Hamper would be amazing for myself and family to share. Would love the Christmas Sparkle Hamper for my step daughter & her family as they deserve a very special treat! The Noel, as it’s non-alcoholic! Can’t be doing with the hangover!! I’d love to win the Christmas sparkle hamper as a Christmas gift for my nan! I cannot decide as they are both pretty fabulous. I’m afraid , you will have to pick for me. Either way I’ll be smiling. I’d love to win the Christmas Sparkle hamper – I can’t say that I’m more deserving than anyone else but it would make a lovely Christmas treat for the family. The Christmas Sparkle Hamper would be great to share with our son who will just have moved into a new house with little time for Festive preparations. I would love to own the Christmas Sparkle Hamper because my family and I have been working hard trying to fix and repair our new home in time for Christmas (were almost there 🙂 and it would be nice to treat my loved ones to this delectable hamper! I would love the Christmas Sparkle Hamper as it would be a great treat for our wedding anniversary on 13th December and it contains all the things we like. I love the colour too! I have no idea what to give my boss and this would be a perfect idea! Boxing Day is my birthday so the Noel Hamper would be perfect! Would love the noel as I don’t drink at the mo so would be great as breastfeeding currently so means I can still enjoy some yummy treats and also the chocolate and nut delight as will keep my energy levels up over the holidays. my family deserves a littie cheer. The Christmas Sparkle Hamper for my Mum for Christmas. I would love to win the Christmas sparkle hamper. After the worst year ever I will be spending Christmas all alone so please restore my Christmas cheer and give me something to smile about! Good luck everyone. They are both wonderful but as I rarely drink the Noel hamper would be the one I would love to win because I never get bought any food gifts even though I’m a real foodie! I’d really love the Christmas Sparkle Hamper to cheer us up, as hubby lost his job yesterday. Happy Christmas to us, eh! I’d love to win to give a treat for my lovely hubby. He works full time, yet still takes care of me. He’s one in a million. He has his mum living with him. She has dementia, she,s very hard work very very demanding. I deserve a hamper because I’m sitting at home with a broken leg after being involved in a car crash. I’d prefer the Noel hamper to share with my family & friends. I would love the Noel to share with my whole family as we spend our last Christmas with my dad who is in the very final stages of Alzheimer’s. Either hamper looks lovely so i haven’t a preference. Don’t deserve it any more than anyone else but would really appreciate it to share with family. A gift from me to all the family to say ‘Love You’ and thank you for looking after me! I would love to win the Christmas Sparkle hamper! I am stuck on gifts for what to get my nanna this christmas, and this gift sounds perfect for her. The Noel hamper as I’m just generally wonderful !! I would give Christmas Sparkle Hamper to my mum! Noel, I don’t drink and prefer the selection of sweet and savoury nibbles. I’d love to win as I spend every Christmas with the in-laws and it would be lovely to share this. I would like the Christmas Sparkle hamper to share with my lovely ‘step’ daughters when they come back for Christmas hols. Id love to win The Noel Hamper. Its been a tough few years working part-time and on contracts, but Ive finally managed to get a permanent job and Im really enjoying it so this Year I would love a Christmas to remember! As I work in the Transport industry, I wont drink (I dont anyway!) and as I will be working over the Festive Period this hamper ticks all the boxes. I am having Christmas with my other ‘London orphan’ friends so its something luxurious I can share with them, as thats the spirit of Christmas, celebrating together. Its like it has been made for us, too, as my flatmate is Russian and there are Russian Caramels in there! I pass out by only sniffing gin. I’d love the Noel, not for me, but for my in-laws because they deserve it for Christmas and this one is much nicer than what we can afford. I deserve the Noel hamper as I’ve scraped through the year trying to save for Xmas,so a bit of luxury for me would be a god send.. I would love to win any christmas hamper as things are very tight and my wife and I could do with a bit of luck. I would love the Christmas sparkle hamper because I enjoy prosecco and think I deserve a treat to share with my family. I’d like the Noel, as a special treat for my husband who’s been working so much lately, and would like to surprise him on Christmas Day! I would love the Noel hamper to give to my mum. It would make a lovely gift. She’s helped me out a lot lately and deserves a special treat like this. The Christmas Sparkle hamper please because it would be not only for me,but the entire family could enjoy this hamper and make an extra special Christmas. I could never afford such luxury, so it would be extra loved in my house. I would be over the moon to win the Christmas Sparkle Hamper. Everyone deserves a little bit of luxury at this time of year, so why not me?! I would love the Sparkle hamper to help make Christmas go with a swing, especially as my daughter is home from New York for Christmas. Looks lovely, the family would love this!! Love these hampers, will enjoy with friends. Christmas Sparkle Hamper – to be honest it is difficult to choose as both really good. Would love to try the Baronie Beligian Chocolate. I hope nothing will ‘hamper’ me from winning this! The Noel Hamper to share with all my family who are coming round for Christmas Day, as they deserve a treat! To share with all my family who are coming round for Christmas Day, as they deserve a treat! The Noel Hamper please because just like me it is very very tasty!! I would love to win the Noel hamper. We’re having an event at work to raise money for children in care. If I could donate something like this as the grand raffle prize I would be really popular with everyone. I work very hard and I would love the christmas sparkle hamper! I would share with my family & friend. I would love to win the Sparkle Hamper as I need a bit of sparkle this Christmas. Each year our family shrinks a little more and I always toast my absent friends and family with a few bubbles. My mum loves these hampers. Would love to surprise her. Would love the Christmas sparkle one. I would love to win the Noel Hamper because it does not have any alcohol in as we can’t drink due to being on lots of medication, & because we have had a really tiugh year health wise & need something to cheer us all up & the Noel hamper would do just that. I like the Christmas sparkle,hamper for myself,it looks lovely! My wife reckons I am a basket case already so anyone will do! I would love a Christmas treat. I like The Noel hamper best. I would love the Noel hamper please because it sounds delicious and I think I deserve a treat because I’m a tired mum of two little ones. I would love the Christmas Sparkle hamper to brighten our hamper as we have had a difficult gear and this would help us all to cheer up. I deserve a hamper because I’ve had a very stressful unpredictable year and I could do with a lift at the end of it. Love the look of the Christmas Sparkle Hamper. I don’t think i deserve a hamper but if i won i would give it to someone who needs it and would enjoy it. Someone that does not have much at christmas and lives on the breadline! The Noel Hamper looks amazing, would love to win for xmas! We would love to win either hamper to share with our family over Christmas. It will make the day more special and help us celebrate in style. I’d love the Christmas sparkle hamper because although I love it, I do most of the Christmas preparations and would love something special to put my feet up with once it’s all done. The Christmas Sparkle Hamper just because I would love a treat to share with my family over Christmas. The Noel as we like the look of the Russian caramels. We are going away so it would make a great gift to take with us. I would like the Christmas sparkle hamper to share with my mother in law as this is the first Christmas without her husband who died earlier this year and she will need cheering up. The Noel – only to gift to someone more deserving than me. The Noel please, we don’t drink! 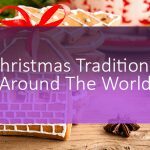 because I love christmas so much that i am known as the christmas fairy and as the christmas fairy it would be so wonderful to spread some more christmas joy to my family with a hamper. Christmas sparkle hamper – I was hooked as soon as flapjack got mentioned! The Christmas sparkle hamper looks divine but to be honest, the Noel hamper looks pretty fab too! I may not deserve to win more than anyone else but I’m poor, tired and would be thrilled to get the hamper! Noel hamper for me please – for our schools local community hampers. I would love to win the sparkle hamper to share with my husband. The sparke hamper to treat my darling mother! I would love to win the Christmas Sparkle hamper as I am working in A&E all over Christmas and will be in need of a bit of pampering in the New Year! Never had a break in 3 years….. The Noel please because I don’t drink. Christmas Sparkle Hamper for my husband of 50 ‘Very Merry’ years. He would love the Prosecco and the lovely chocolates, and very partial to mince pies! I would like to win the Noel hamper to pass on to my stepmum and she deserves to win for agreeing to take on the role of cooking Christmas dinner for us all! I love the Noel Hamper with its array of treats, especially the Buchanan’s famous Chocolate Russian Caramels which sound divine. Perfect because it is alcohol free and my family aren’t really drinkers. I would love the Noel because I don’t drink and love Christmas cake . I deserve to win because I promise to share it with my family – except the cake ! I broke both my ankles this summer and had to have surgery, and my lovely 68-year-old Mum was an absolute lifesaver in looking after me while I was unable to walk. I’d love to win the Christmas Sparkle hamper as a treat for her. She definitely deserves some fizz!! It’s my first Christmas with my partner and we are spending it with his sister and family so this would be great to take along with us. I would chose the Noel Hamper. Looks great for a party night. I’d LOVE to win the sparkle hamper – Looks amazing! I believe I deserve the hamper because I am a trier in everything I do, I would love the Christmas Sparkle hamper as I do like a tipple or two and I do have a rather sweet tooth so this would all go down a right treat, thanks for the opportunity. I would love the christmas sparkle hamper to give to my mum. sparkle because i love a good bottle of fizz! The sparkle one as it looks amazing and all the family would enjoy. I’ve never actually won a hamper myself so the thrill of winning and then unpacking I think would make me so excited I’d pass out. would love the non alchoholic hamper- pregnant and feeling ill and sorry for myself and would love this to cheer me up and share with my family! The Christmas sparkle hamper. I would love to win it for my Mum who deserves it for all the help she gives me and the rest of the family. Because my mother has been through a lot, and this would be a gift to her. As she deserves more than I can give her. I would share it with my mama so it be less shopping for us to buy! I would love the Christmas sparkle hamper. I deserve a treat before going back to work in January after maternity leave!! I would love to win the Christmas Sparkle Hamper, I know how lovely the hampers are from Hamper Gifts as I have ordered many times before for presents for my family. It would be absolutely delightful to win one for myself and share it with my partner ! I would love the Christmas Sparkle hamper ! just because I’m a hard working mummy and I’ve never had a hamper before !! I would like the Noel hamper please if I am lucky enough to win. There is something for the whole family to enjoy, sweet and savoury. I can’t really tell you if I deserve to win though, only Santa knows if I’ve been naughty or nice this year. I would love the Christmas Sparkle Hamper as Christmas is not Christmas without some fizz! love the Christmas Sparkle hamper, perfect to add sparkle to my family’s Christmas after a really awful year. Would have to be the Christmas Sparkle Hamper, for myself and hubby, we dont get that much time together as he has 2 jobs and is studying for a degree and as well as working full time I do alot of volunteering in the community as I feel its important to give back which takes up alot of my time. My husband deserves this hamper as he’s had to do so much extra for me this year – what a star! I would love to win the sparkle hamper as this is my first xmas cooking dinner for all the family ands this would help me out! The Christmas Sparkle hamper looks fabulous! We deserve it because it would be lovely after so long of not seeing each other, to toast our family time with some bubbles! I’d love a hamper to share it with my boyfriend after he’s home from being stuck in work on christmas day! be a nice treat for both of us! i’d love the christmas sparkle hamper as I’ve just moved house so would love to celebrate that and getting a new job. This hamper would give everyone in my family something to enjoy. I would like to win the non-alcoholic Noel hamper because I am pregnant with my first baby (after many years of trying) and I would like to pamper myself and my amazing fiance’ before the hard work of parenting begins next year! 🙂 Great competition. Good luck, everyone! I deserve a hamper because I’ve been a very good boy and I would like it to be the Christmas hamper because Christmas is not complete without some bubbly. The Noel hamper would be perfect as I love savoury food. I would love the Noel to bring home to my family at Christmas. WOW! This hamper looks incredible!!! I’d love to win this fabulous hamper for my mum to say thank you for all the help and support she has given me since starting college this year. It’s been a bit of a struggle financially and with child care but she’s helped out as much as she can and made it that little bit easier. 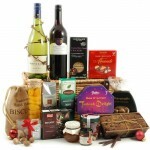 I would love the The Noel hamper to share with my colleagues. I deserve to win because me and my colleagues have had a very hard year at work and we all need cheering up and rewarding! I would love to win the Christmas Sparkle Hamper for my stepdaughter who despite being legally blind and has MS she goes to college, volunteers with RNIB raising funds and goes to her grandparents house at least 4 times a week to bring them sweets and help with shopping and cleaning. I would love to win the Noel hamper, I looked after a friends ten week old puppy for two weeks while she cared for her very ill son who is now sadly with the angels. The Noel hamper would be perfect for us as no one drinks, not even at Christmas! The Noel Hamper looks amazing, I’ve been off with the flu for the past few weeks so am very behind on Christmas preparation! The Christmas Sparkle would be a wonderful gift to share with my best friend and flat mate as we wind down after a very hard year of work! I Deserve a ”Well Earned Rest” from my own cooking which is Basic I’d love to make a Spread Fit For My Mum who’ll be visiting. The Noel looks Great !! sparkle, because i like to think i sparkle! I’d love to take the Noel with me to my sister’s house for a family Christmas. She is a vegetarian non-drinker and very difficult to please so this would be a perfect offering which we could all get stuck into. I deserve it because I have been a very good girl this year! I’d love the Noel hamper because it would be a perfect treat for my OH who has been doing a lot of DIY around the house this year! And the Noel hamper has nice savoury things in it like olives which he loves! Christmas sparkle hamper is perfect for Christmas a time to share with family and friends although might find it hard to share this. I’d love to win the Christmas Sparkle hamper as I love me some good old Prosecco and also because I’ve been very nice this year. I would love to win the hamper to give to my parents who have had a really tough year so it would be a lovely treat for them. Christmas sparkle hamper would be my choice – as i don’t drink my Sister would benefit from the alcohol!! The Christmas sparkle hamper would be a great treat for my sister as she’s had a tough couple of years. The ‘Noel’ please x i deserve it as im cooking the xmas dinner! I would love to win one for my Sister as we are going to her for Christmas and we could all share it. Would love the Christmas Sparkle hamper, looks amazing. Cos we all need to ‘SPARKLE’ at Christmas! I would love to win the Sparkle Hamper for my hubby Brian. I think he deserves the hamper because of all the stuff he does for me. He had to be my full-time career. He had to give up work & now he spends 24/7 looking after me & our home. I know he has found it hard but he never complains. the Christmas Sparkle hamper for me! would love to win this to share with Mum this Christmas! Food hampers cheer me up and I would to win the Christmas Sparkle Hamper for this reason! Love to win the Sparkle Hamper, I feel that I am the Dog’s Body at home, nobody seems to do anything to help. The Christmas Sparkle Hamper looks fantastic and a wonderful gift for my family to share over the festive period. I am sure it will be the first hamper we have ever had which will be a spectacular surprise to everyone. Good luck all! Great prize, thank you. The ‘Noel’ would be lovely, i think we all deserve something nice at Christmas. Christmas Sparkle Hamper please. Over the past year or so I’ve split up with my gorgeous boyfriend (who I still love btw), lost my job, my lovely cat died & I’ve had 2 operations, so I could do with something nice happening in my life! I’d love the Christmas Sparkle Hamper as sweet treats are always amazing at Christmas! I find a hamper makes everything that bit more special! The Christmas Sparkle hamper. Lovely hamper to share with family. I don’t deserve this hamper but if I won I would give it to dad as he deserves it for all the help with the garden. The Noel is my favourite. I don’t deserve a treat but I’d like to share this out and treat my family who are always there for me. They don’t have it easy especially my brother with a diabetic daughter to care for. I’d love the Christmas Sparkle hamper! I’d donate to our school Christmas Fayre! I’d love to win the Noel hamper as a pressie for my parents. Both are really nice but I think I would choose the sparkle. I deserve it because I’ll need a glass of wine after cleaning and cooking for Christmas. I’d love to win the christmas sparkle hamper because i know myself and my family would happily enjoy all the contents of that one! Noel hamper is the perfect Chrismas family pamper! Christmas Sparkle would be my favourite because nothing says ‘Christmas!’ more than a hamper…….I do work hard to deserve it but then so do all my family and what a great way to spoil everyone! I’d love to win the Christmas Sparkle Hamper as it would be a lovely gift to take down to my parents’ house as an extra thank you for hosting Christmas. The ‘Noel’ please as we are going to my sister in laws & she is allergic to nuts, so i would like to win to take this with me. I would LOVE the Christmas sparkle hamper please because I have never received a hamper of goodies before and it is something I would really appreciate and enjoy over the festive season, I would be sure to share with my guests over the festive season. would like the Christmas Sparkle hamper simply as we would enjoy the contents of this the most, and I think I deserve for no more reason than I`ve had a tough time at work the last few month and this would add a little more joy to the Christmas break I can`t wait for! I don’t suppose I deserve it more than anyone else but would love to share the Noel with my family this Christmas. I would love to win the Noel hamper and think I deserve it as I have given up alcohol all year and think this would be a lovely reward to myself for my will power!! A year of trauma with serious health problems of my daughter leave me ready for a bit of luxury. I’d love the Christmas Sparkle Hamper, I think I deserve this because of the fact of how I’ve been working tirelessly doing a media course both in college and outside college and thought it’ll be great to win something like this. I deserve a hamper to celebrate the birth of my baby boy 11 weeks ago and would love to win the Christmas Sparkle hamper. I would love the Christmas Sparkle hamper to cheer me up when I com out of hospital in a couple of weeks! I would like the NOEL one to share with my wonderful neighbour as my husband has worked away most of the year and she has been great keeping my 4 year old daughter company. Many thanks for running this lovely giveaway. I would love the Christmas sparkle hamper because I adore prosecco and having just moved house (exhausting!) I deserve a treat.